The reason why most of us fail is they don’t show commitment in their lives, and I say us because I used to be there, but now I’m a new creation working on new chapters. The verse I quoted as a subtitle tells us that if we commit our works to the Lord, our plans will be established, in other words all our plans will come to pass, and our plans will achieve permanent acceptance or recognition for. Commitment is a habit that we have to adapt to and make it part of our identity, when something becomes your identity, it’s a feature that describes who you are and you carry it everywhere you go. When you have decided on chasing a certain goal and making it a reality, you have to believe first and get committed to work on making a success. Most young people in today’s world have audacious ideas and visions, and when you see them they look so pumped up that you will believe that nothing will hinder them on their goal chasing, but half way through they just give up because they fail to show commitment on what it is they want to become. This is why we have so many small companies starting up each year and 90% of them closing in less than 5 years because they fail to follow through. They don’t get committed enough to make their business a success, giving up when times are hard expecting it to be easy. It’s never easy to run a company, to chase a dream, in that road you will face tribulations, you will face mountains that you have to cut through them and create your own road. Commitment to your dream will make you work harder than everyone else, will make you stay up late working on your dream, commitment will make you different from everyone else around you. You are where you are now because you either was committed before or never shown commitment before. Commitment will take you from bottom to the top; it will make you a man or woman of value. The greatest and first commitment you have to make in your life is being committed to God, He is your creator, He makes everything that you dream come to pass, He fulfils your desires, and without a commitment to Him nothing you do in your life will be a divine success. People don’t do for God what they are supposed to do because they show no commitment, but they expect God to meet and fulfil their expectations. 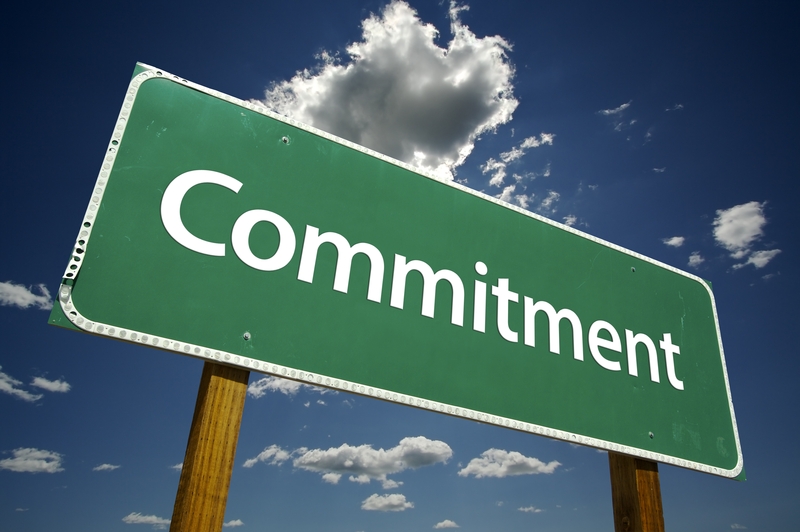 You have to make it a willing to be committed to God, success will only come to the committed and it will never be something achieved without commitment. I always hear some certain people saying my prayers are not being answered; you may have faith that your prayers will be answered; but don’t expect God to answer prayers of dreams you are not committed to. A life with no commitment is a waste of life; it’s a life with so many unfinished businesses, goals, relationships. Don’t be stuck in a chapter that you no longer supposed to be in because of people’s opinions, fear and failure to commitment. Be the change now, nothing will ever change in your life unless you give it permission to, unless you are committed to make it happen. Never think you are not great enough to be make your life a success, because everyone of us has the ability to achieve our desires through the power of Christ. Previous Are you still following your new year’s resolution list ? Next Opportunity wears no uniform.